Writing a blog is a great way to advertise your business or non-profit. Industry-specific blog posts increase your chances of your website being found by consumers through search engines and social media. If well-written, blog posts can also enhance your credibility among customers, donors, and even competitors. 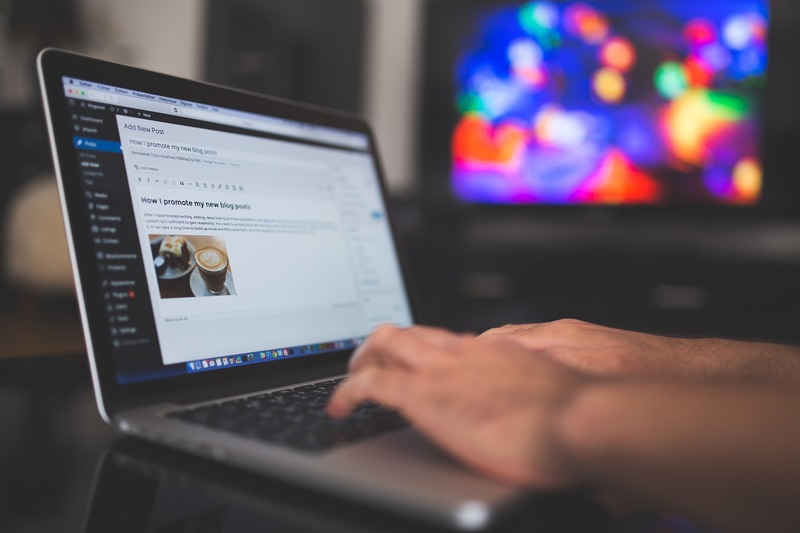 To create quality blog posts that can generate a following for your business, try these blogging tips and tricks we use with our clients and on our own blog. Your primary audience for your blog should be potential customers or donors. Remember that your goal in writing each post should be to sell a service or product. A good tactic for increasing sales is to use blog posts to explain the value of service or product more in-depth to a consumer that has the means and desire to purchase it. Regardless of the topic of your blog post, your last paragraph of your blog post should always make a relevant pitch for a product or service that your business offers. At the same time, you don’t want to come off as too sales-focused throughout the body of your blog. Think about answering questions that people have before they buy, such as how long a product will last, what competitors say about it, etc. Instead of putting an FAQ on your website, write articles for a blog that detail common questions people may search for online. Be sure you’re answering questions people actually have, however. You don’t want to attract the wrong audience to your blog or it won’t eventually help you with sales. Before you commit to writing a blog, generate a list of solid topics. There are plenty of ways to think about potential topics. As mentioned above, you can turn frequently asked questions about your business or non-profit into blog posts. You can weigh in on a debate in your industry (i.e., whether closed or open ventilation is best for a crawlspace under a house). You can discuss your personal philosophy for working with clients. Creating a list ahead of time will help you identify what’s important to tell potential clients and to help you plan your blog over the long-term. Once you start publishing your blog, you create an expectation that it will be a regular feature of your website. Well before publishing your second blog post, you should decide realistically how often you can generate and publish blog posts. For most small organizations, once a week is probably doable. One business week gives you time to write a draft, reflect on that draft, make revisions and gain approval within your organization. For businesses that need more time for the writing process, writing a blog post once every two weeks or once a month may be more feasible. Whatever frequency you decide on, you want to make sure that you publish consistently in order to draw an audience for your blog. Pick a day and time each week, or other span of time, and publish your blog at that time religiously. To make your blog a priority for your business or non-profit, you need to schedule time for the writing process. Pencil in an hour for drafting. Schedule a meeting for feedback, or send it to a colleague for feedback with a “respond by” date. Reserve time for making final revisions. Allow for time for important people, such as your sales manager, to give your post one last read-through before you publish it. If you don’t make time for each of these activities, you won’t be able to consistently produce quality posts in a timely fashion. The quality of your posts is critically important, probably more important than their quantity. You want to be able to demonstrate your expertise on the topic you are writing about. First and foremost, you need to make sure that your facts are correct and up-to-date. This means that you’ll need to be familiar with trends and research in your industry. You should also search to see what topics your competitors are writing about and what they are saying about those topics. Your response to what competitors or saying may be good fodder for a post or two, especially if you can differentiate yourself from them by taking a different stance. Or you may write about topics that are being left out of the conversation. You should also cite information you find from non-competitors in the form of a link in your posts, which is beneficial for SEO. Either way, you want to demonstrate that you’ve done your homework and that you have something of value to offer your readers. Writing blog posts for your business or non-profit takes commitment, but is well worth the effort. If you need help at any stage of your blog writing process, or need coaching on the process of developing a blog, please feel free to reach out.